For the past 10 years I have played regularly in my local church worship teams and have had the privilege working with some truly amazing and stand out musicians and singers. After moving to a new town and playing in my new church for a couple of months, I had a strange and memorable encounter. A lady grabbed me by the arm after a Sunday morning service and asked, “Are you the young man playing that guitar?” She then proceeded to tell how much she has always hated the electric guitar while I kept a polite look on my face. But then with a big smile on her face she finished by saying, “But I just love it when you play!” This little encounter got me thinking, maybe after playing with and being inspired by so many stand out musicians that maybe I have adopted some of their traits. 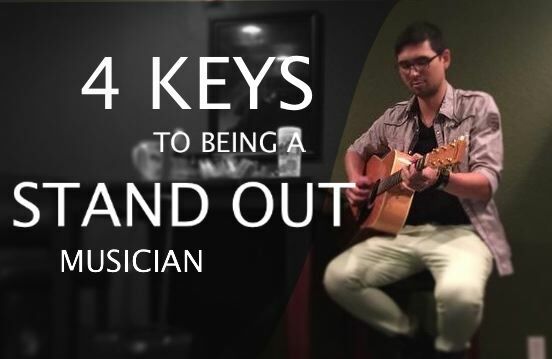 Here are four keys that I believe will enable any musician be one that stands out. 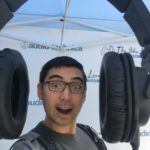 Being aware of music theory and how it relates to your instrument and your teams style is a vital part of being freed up to play your instrument in an intuitive way and connect musically with the rest of your team. I have found Diatonic chords to be one of the most useful tools as a contemporary musician. Being able to deduce what chords are coming next helps when learning new songs transitioning between songs, writing songs and also playing in free worship. To sum up Diatonic chords, there are only up to seven chords in any song. The 1st, 4th and 5th are always major, the 2nd and 6th are always minor and the 3rd and 7th are usually inversions. I have a more in-depth teaching of this on my Contemporary Music Theory DVD. Being aware of current popular music trends is also very important. With music changing so rapidly of the past few years, it has become very easy to slip into being a “dated” musician. For instance, a lot of music at the moment use 10ths in melodies and hooks, so as a guitarist I have reformed the way I play chords to feature the 10th sitting on top. I remember hearing on the news one time that Katy Perry’s album had hit the record books with 5 no. 1 singles of a single album, the most ever for a female artist. Also noted that she was the only other artist to achieve this many no.1s of an album other than the late Michael Jackson. This caught my attention as impressive feat. So when her new album Prism came out, I though I’d better have a listen to see what is so captivating about her music. I noticed instantly that the guitars sat far back in the mix and the keyboards were at the forefront playing guitar type riffs with revamped synth sounds. I found the same trend 12 months later in Taylor Swift’s album 1989. I was amazed at the intriguing use of sounds and grooves portrayed by this country artist. So now, the moment we hear a distortion guitar or piano with strings we are instantly transported back to the 90s, which leads me to the next key. During an overdubbing session for a live album with Andrew Ironside, Andrew kindly told me that I was a great guitarist but my sound was rubbish. Rather than taking offence, I decided to starting saving up some money and go on the journey of building my guitar rig. Throughout the journey, I recall being so inspired every time I got to try out a new guitar, amp or pedal because of the fresh sound it created. After many years of buying, swapping, selling and trading gear, I have moved on from the harsh, nasally tone I started out with. Now I have my own signature sound that is inviting to listen to and creates a rich atmosphere. 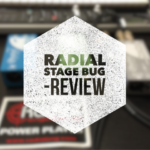 On my Electric Guitar DVD I talk through and demonstrate a 5 pedal setup that will work in any contemporary worship setting. Now as music has shifted and the keyboard has come to the forefront, I found myself unable to replicate the same type of energy the songs needed by playing only electric guitar. So I embarked on learning how to pull the sounds live on keyboard, choosing to grow and stretch my musicianship rather than digressing into playing along to backing tracks. I soon discovered that I could use any size keyboard through an Apple program called MainStage 3, which was only a $30 download from the App Store. As I dove deeper in the program I was astounded by what it can do. It really started to come alive when I added Omnisphere and some nice piano plugins by Native Instruments. They ability to create fresh, vibrant and emotive sounds is now right there at our fingertips. It’s an absolute blast seeing young people connect with the sounds as I play them and also some amazing times of worship with expressive pads and intricate motion sounds. Further training on how to get MainStage 3 working for you is on my Keyboard DVD. At this point I would normally tell people to practice practice PRACTICE. But simply practicing to learn and play a song perfectly is not enough to stand out as a musician. You must also practice being innovative. Innovating is a big part of the process of exploring and experimenting with new sounds but it’s also important to practice using the sounds. During my own practice times and during team rehearsals, I’m always making sure I know how to transition smoothly between sounds and also keep listening out to hear that the sounds I’m using have the right dynamic for the moment. It’s equally important to innovate the way you play your instrument. Earlier I mentioned how I incorporated more 10ths in my guitar playing, which has also translated across to learning to play 10ths on the keyboard. As the my guitar sounds began to develop I quickly realized I had to find and master new ways to play chords otherwise my nice ambient sounds would quickly turn into mush. So I discovered new inversions higher up the fret board. On the acoustic guitar, artist like John Mayer inspired me to learn new open chords around the full range of the guitar. After seeing the way Tommy Emmanuel plays his cover of Day Tripper by The Beatles, I began think about and discover ways I could play worship songs by playing bass, chords and the melody line all at once. Learning to play in this style has made me even more aware of the harmonic structure of music, but surprisingly to me, I actually grew most in my sense of rhythm and groove. I guess because you really have to concentrate on where to place melody notes in amongst keeping the beat moving with the rhythm and bass parts. I teach more in depth about this process on my Acoustic Guitar DVD. As we grow in our musicianship, it is extremely important to keep a humble spirit and make sure we are able to serve others with our musicianship. Otherwise, you will stand out sure enough but it may not be for the right reasons. Some practical ways of serving others off the platform include arriving early (not late or just on time), being available outside your schedule and preferred instrument, keep and teachable sprint and be willing to teach and mentor others in your place. While playing, being aware of not only your parts but also the other musician’s parts and how they work together is a sign of maturity. If you want your parts to able to shine, know how and when to pull back to leave space in the mix for other instruments and vocals. This will give dynamic room to move forward when your parts are needed. It’s all about gaining trust with your band, sound engineer and the congregation. If you’re always pushing your sound forward then it will wear everybody out and your wonderful playing will turn into irritating noise. In closing, remember that the music isn’t there for you to have a platform but we are entrusted with the platform to lead people to an awareness of God. I have played for over 40 years and two things I have learned are 1- listen for mistakes…..sometimes they don’t sound too bad; & 2- to play an instrument in front of any croud you have to have an ego…..the work comes in keeping that ugly green monster in check.. I do agree with learning as much theory as you can and also learning to apply it when playing…..also being “prayed up” and sensitive to what the HOLY SPIRIT wants to do and trusting that same SPIRIT in others. Thank you. I will be sure to get this into the hands of the team up here. Great thoughts.